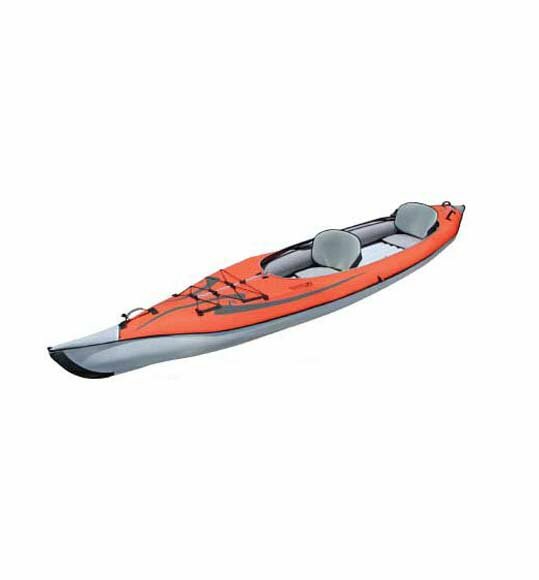 The AdvancedFrame Convertible Kayak is a fifteen foot kayak that can be paddled solo or tandem. With the optional single or double decks you can convert your AdvancedFrame Convertible kayak into a solo or tandem kayak in a matter of seconds. This new design incorporates the rigid bow and stern frame with the versatility of an interchangeable deck. Includes: carry duffel bag, 2 folding seats, repair kit, owners manual.3 Seat locations allow for paddling solo or tandem..Specifications: Length: 15' Width: 32 inch Weight: 56 lbs (25 kg) Capacity: 550 lbs (249 kg).Length: 15'.Width: 32.Weight: 56 lbs (25 kg).Capacity: 550 lbs (249 kg).